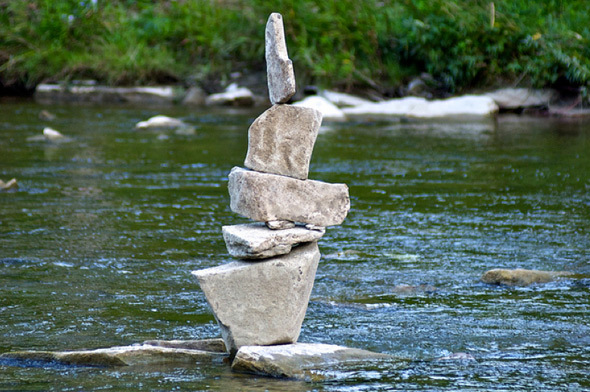 Toronto media was abuzz on Monday and Tuesday following the appearance of mysterious rock sculptures in the Humber River near Old Mill Road. 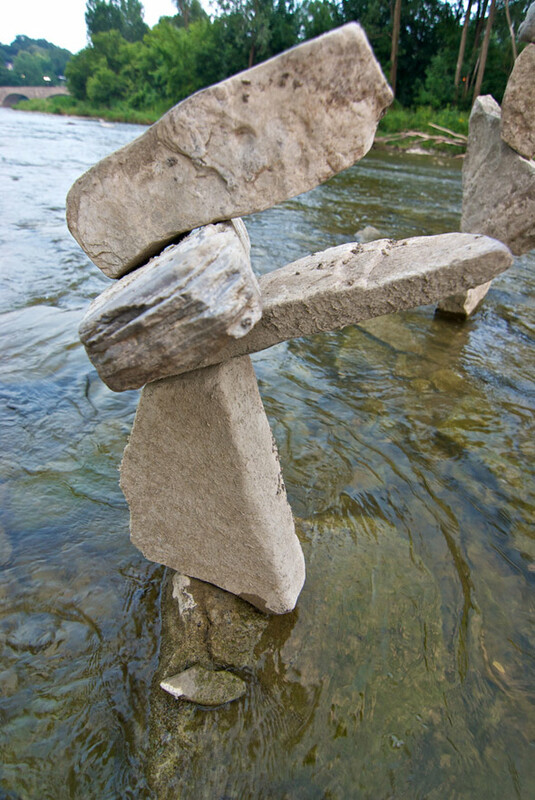 Although it's not the first taste the city's got of rock balancing -- there's a duo who practices the art form near Kew Beach -- the location of the sculptures had many intrigued and curious as to their provenance. So I took a trip yesterday evening to wade into the river to see what all the fuss was about. While the artist ended the mystery by revealing himself to the Star in the afternoon (though Torontoist were already pretty darn sure who it was in the morning), the sculptures nevertheless remain captivating, especially when seen altogether. 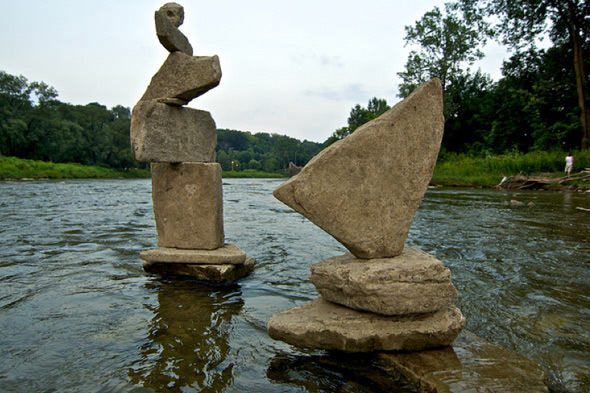 The work of Toronto photographer Peter Riedel, the statues are held together merely by gravity, so it's difficult to predict how much longer they will remain intact. 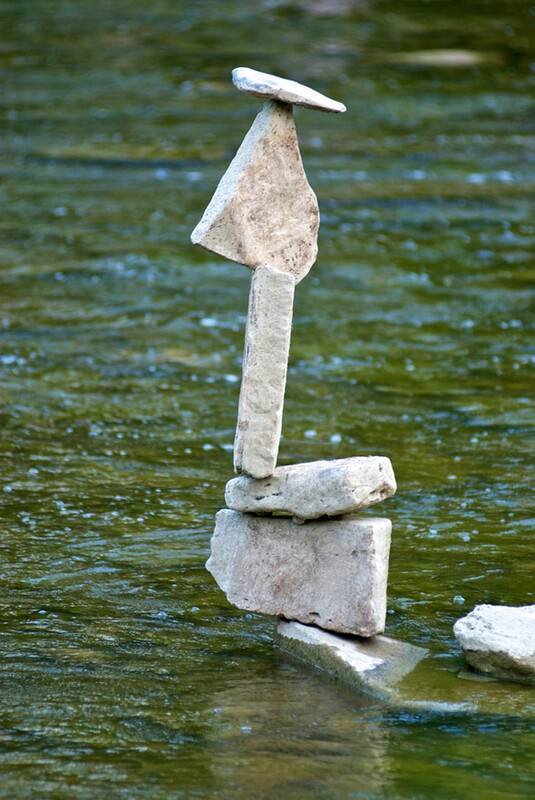 Some of the balancing acts are just fascinating, so I recommend taking advantage of the opportunity to view these spontaneous works of free art while you still can. Writing and photography by David G.Tran. For more images, check out the slideshow below.